Cutting Spring Firewood - Best Time For Firewood? Cutting spring firewood has many advantages. In fact, it's arguably the best time of year to cut firewood. Every year more and more people are turning to firewood as a reliable and inexpensive way to heat their homes. 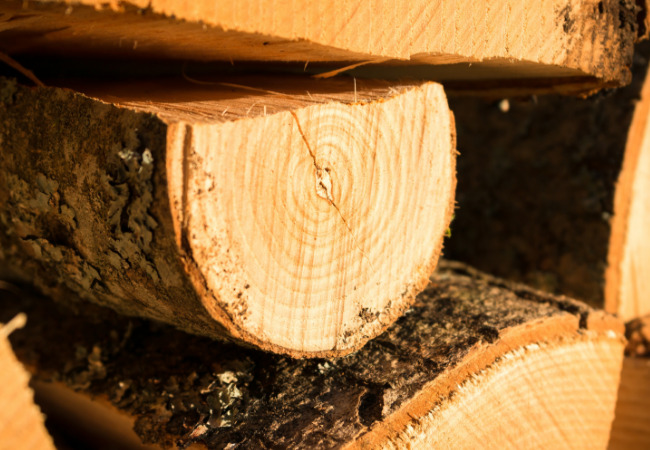 While the price of propane, fuel oil and natural gas continue to fluctuate, the overall price and availability of firewood remains the same. The winter of 2013-2014 was one of the coldest winters on record. The average weekly price of propane and heating oil in late January 2014 was $3.61 per gallon in Michigan, based on data gathered by the Michigan Public Service Commission. The average weekly price of propane in the state for the same period in 2013 was $2.08 per gallon. This price increase has left many people wondering how they will pay their heating bills. Cutting firewood in the spring has a lot of advantages. First, the weather is cool and comfortable. Cutting firewood is a lot of work and it doesn't take long to work up a good sweat. Anyone who has cut firewood in the middle of the summer can attest to that! The comfortable spring temperatures along with a cool spring breeze makes an excellent combination. Second, cutting your firewood early in the year allows the wood about 7-9 months to season which is usually sufficient for most firewood types. By the time summer rolls around your firewood is already cut and you can use the warm sun and summer winds to help dry out the firewood before winter. Although there's not many, there are a few disadvantages to cutting firewood in the spring. First, it's really weather dependent. Chances are you will have to deal with mud, ice or even a little leftover snow. The picture above was taken in the middle of March and as you can see there's plenty of snow to deal with. Second, as the temperatures start to rise and the warm sun beats down on the trees the sap inside the trees really starts to flow…..especially if your cutting sugar maple. While this sap is cherished by people who make homemade maple syrup, the extra moisture in the wood makes it really heavy. It also increases the amount of time needed for the wood to dry out, but since you're cutting it so early in the year it's not a problem. Finally, one of my biggest challenges of cutting firewood in the spring is being tired of dealing with firewood. After an entire winter of filling my outdoor wood furnace I'm pretty much tired of dealing with firewood by the time March rolls around. The last thing I feel like doing is starting over again and stockpiling another years worth of firewood. However, I know that it's well worth it and it's not going to be any easier in the middle of summer when the outside temperatures are 90 degrees or warmer. 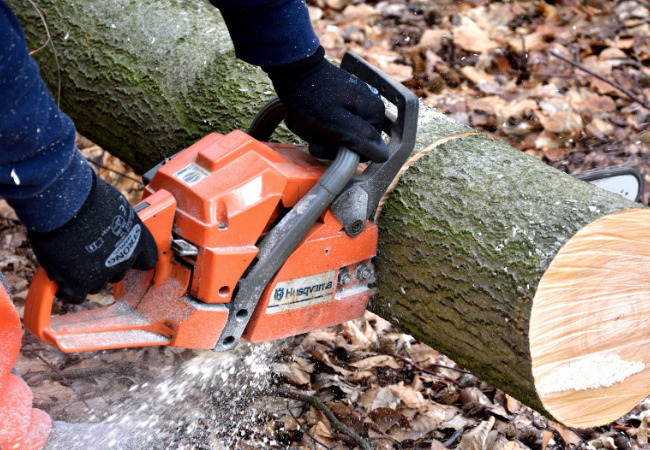 Overall, the advantages of cutting firewood in the spring far outweigh the disadvantages. Even though it's tough to get the ambition to do it, you will thank yourself for it in the fall when it's time to start heating with wood again.